One of the challenges of owning chickens, I’ve discovered, is dealing with what happens when they wander off. Despite having relatively small brains, they possess football field worthy evasion tactics. This applies when they slip past you to escape the coop while you fill feeders and also when they dodge all attempts to catch them afterward. The difference between my chicks and my older hens is that the hens come when they’re called and the chicks don’t give me the time of day. Who knows why. Saturday I turned the birds out to forage while Caleb was working in the yard. I scattered some chicken scratch among the fresh grass clippings and then I went to help him. Babs and Ginger scoured the five square feet for every iota of scratch, but meanwhile the chicks meandered slowly closer to the woods on the other side of our neighbor’s driveway. Caleb killed the lawnmower and we tried to get around behind the chicks and herd them back, which ended up backfiring horribly. They’re like wild animals when they sense you’re trying to corner them. They bolt. Fast. I caught Gigi (Lady Grantham) but Emu and Jelly disappeared into the woods. And there they stayed during all my calling and coaxing and the ten times I wondered aloud to Caleb if they would come back on their own. He must have had all he could take of me anxiously sitting at the tree line scanning for signs of movement, because shortly thereafter he entered the woods, circled around the chickens and started making a racket and trying to flush them out. It worked. 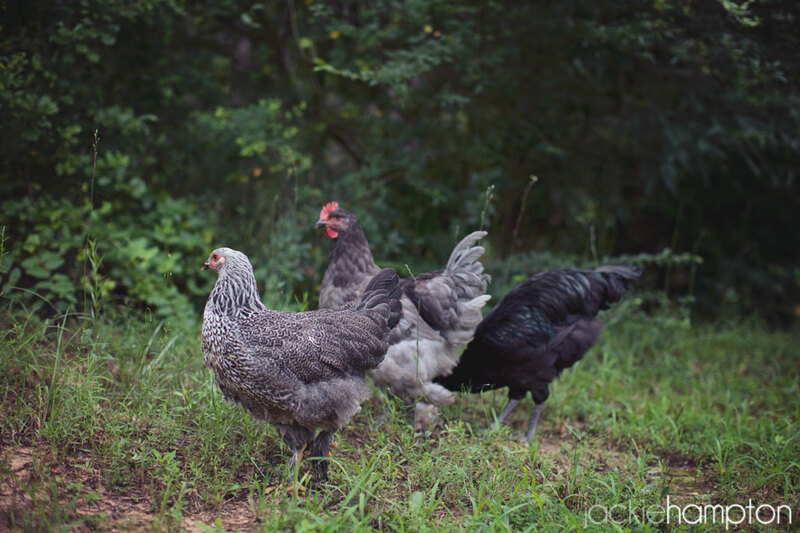 They came prancing out and ran almost straight for the coop. Crisis averted. I was so relieved to have them back and then almost immediately annoyed. 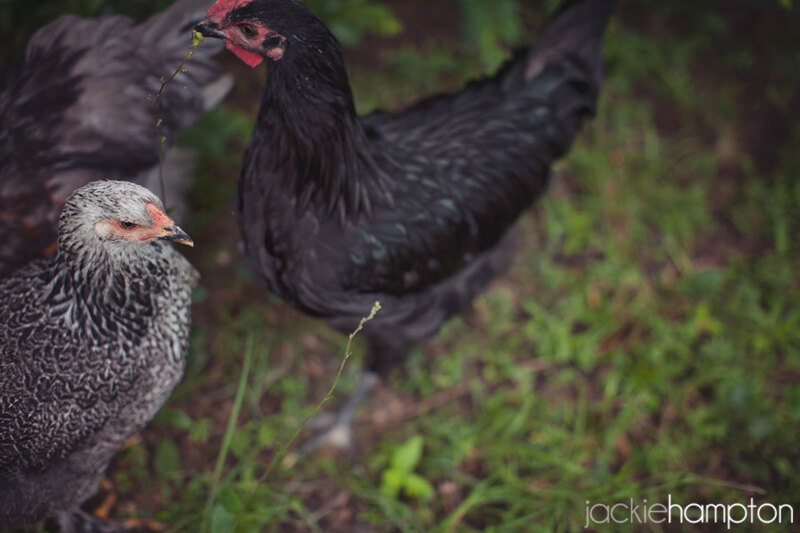 Because seriously, earth to Jackie, they’re chickens. m’kay? And even though they’ve cost an arm and a leg in personal time investment, in reality they are cheap omelet makers. Still. I’m not interested in a repeat of Saturday’s anxiety fest so we’re fixing to be all about chicken obedience school. Or we’re investing in a fence.